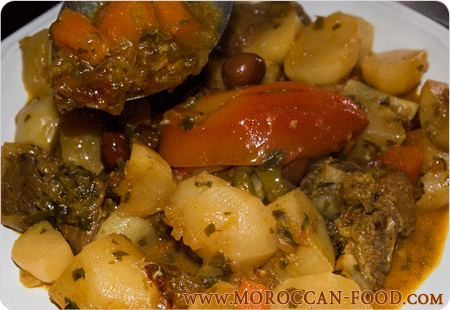 All Moroccan recipes in English for the perfection of taste! How to make Moroccan tea? Heat oil in a large saucepan, saute garlic and chopped onions until they become soft. Add tomatoes, potatoes and carrots, simmer for 20 minutes then add the zucchini for additional 15 minutes. Add a drizzle of olive oil and serve hot.